Most girls of all ages love frilly things. A tutu valance can be made of all one color or several colors for a different effect. The valance can be made any length you choose and can be as full as you like. The more tulle added, the fluffier the valance is. A tutu valance is easy and inexpensive to make and can be made right onto a curtain rod, so when the last strips are attached, it is ready to hang. Measure the folded tulle into 4-inch-wide strips. Decide how long you want the valance to be, and cut the strips twice that length plus 1 inch. A traditional valance is 1/4 the length of the window, but you can make the tutu valance any length you like. Separate the strips by color if you are using more than one color. Fold strips in half lengthwise. Lay strips out in the order they will be used. Place the curtain rod on a smooth surface. Hold a folded strip up to the front of the curtain rod with both ends of the strip hanging at the same length. Bring both ends to the back of the curtain rod and over the top of the rod and down through the loop. Tug on the strips to tighten the knot. Slide the strips to one end of the curtain rod. Continue adding strips until the curtain rod is covered. Straighten the strips and adjust the knots on the curtain rod so all the rod is covered. Cut the satin ribbon into three 16-inch strips. Tie a bow at each end of the curtain rod and in the middle. If any of the strips look a little long, trim the ends. Your tutu valance is now ready to hang. 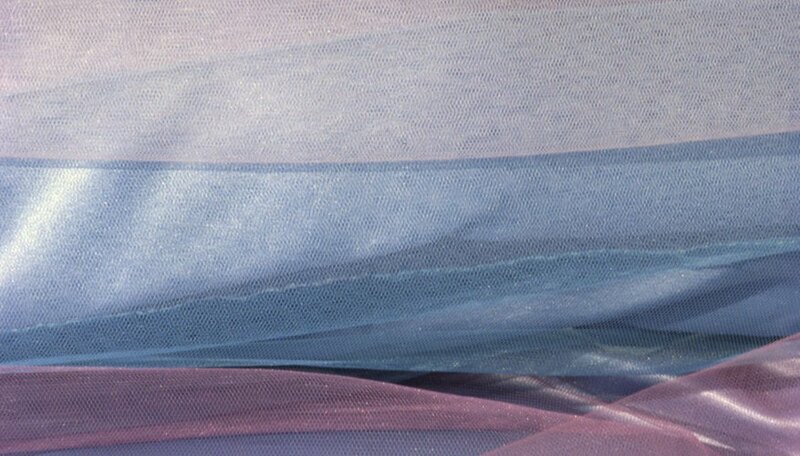 Use several different colors of tulle to create a rainbow effect. Use black and pink tulle to complement zebra-stripe curtains or for a Paris motif in a room. Use pink and lime-green for a fairy-themed room. Keep scissors out of reach of small children.